Famed in Europe and the world over. The premium Czech-made choice. It's won numerous international sporting events, and won countless big game trophies. 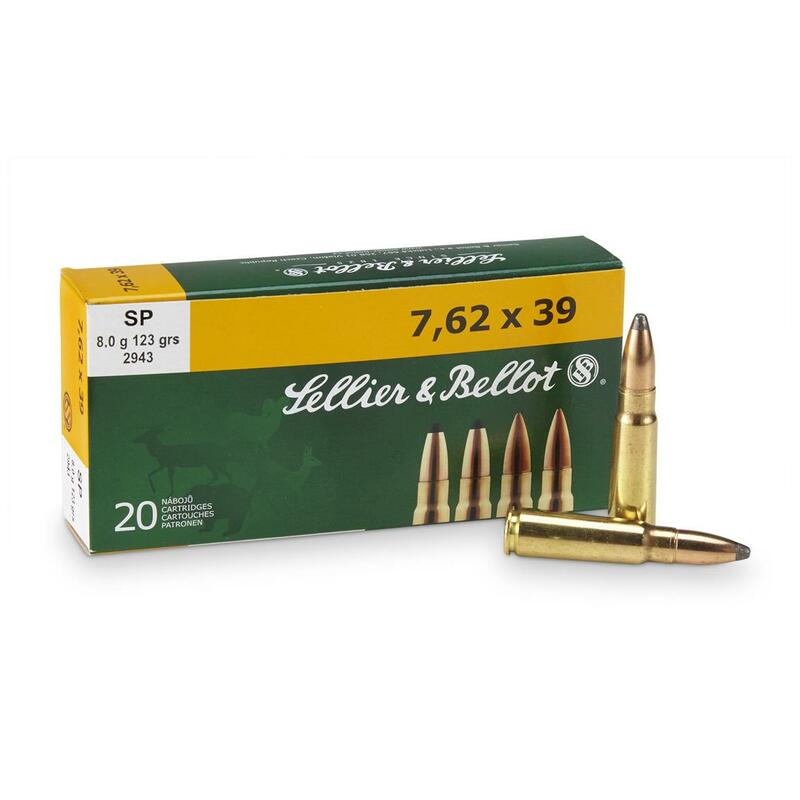 Sellier Bellot, Rifle, 7.62x39, SP, 123 Grain, 20 Rounds is rated 4.3 out of 5 by 8. Rated 3 out of 5 by JDClampitt from Steel jacket bullet,not copper! I bought this because the answers in questions said it was not magnetic. I have not shot it so don't know about its accuracy but its steel jacket makes it a no go for deer hunting. That's why it only got 3 stars. Info needs to state this is steel !!!!! I would not have ordered it knowing this!!!!! Rated 5 out of 5 by Ducky from Great Service Have not had the opportunity to test this ammo yet. However, the price was excellent, shipping was free, package was securely packed, and delivery was prompt. S&B's reputation speaks for its self. WIN/WIN! Rated 4 out of 5 by skunch from Good Price and Suprisingly Fast Shipping! When I order ammo (or anything else) from the SG I don't expect to receive shipment for at least 10 to 14 days. Boy was I surprised when FEDEX pulled up in my drive less than 4 days later with the ammo! The ammo was loose in the box with some rounds escaping their original packaging but all was accounted for. Rated 4 out of 5 by bowtinkerer from Good product and a reasonable price. Rated 4 out of 5 by MICHAEL from I need brass cased 7.62x39 from time to time and these are as good as any and priced right! Rated 5 out of 5 by MARK from Haven't fed them to my SKS yet, but i'm sure they will taste as good as the rest of their ammo. Rated 5 out of 5 by JON from Great value for the money! Rated 4 out of 5 by KEVIN from Looks great, brass cased, however the bullets are steel jacketed and I am interested to see how they expand.